In case you somehow don’t know, allow me to set the stage. South Africa’s Bravado Gaming CS:GO team relocated to the United States some time ago. Earlier this year as part of Project Destiny, the team made the move to Phoenix, Arizona. The whole point of the endeavour was to get regular competition against better North American opposition and thereby improve. They’ve had some good victories as well as some rather crushing defeats. At the moment, things are looking up for the South Africans. Here’s an update. Do you even Mountain Dew? In Bravado’s case, they were privileged enough to be invited to ESEA’s Mountain Dew League (MDL). The introduction of ESEA Advanced as an intermediate division between Main and MDL has seen some of their Main rivals languishing in Advanced. No such trouble thankfully for BVD thanks to winning ESEA Main last season with relative ease. Season 28 has only just started. It’s a big step up in terms of the skill level BVD will be contending with every week in the league. This will be both their toughest challenge so far in North American league play, as well as their best opportunity to improve as a team. Regular league play against good opponents is always preferable to occasional qualifiers against teams of wildly different skill. In week two of MDL, Bravado are currently sitting at sixth spot on the leaderboard. With five matches played, they have won three and lost two. It’s of course still early days in the championship race. There are a number of teams here that Bravado now have a history with. Swole Patrol, Mythic, Dignitas, F1-racecar-PEEK and Fam143 are all opponents they’ve faced in the past with varying success. They have a tough season ahead, but also a big chance to make a leap forward as a team. This season’s MDL field is also probably one of the weakest in the last few, which means BVD are in with a shout of making the playoffs and coming away with a good result. Possibly an outside chance of promotion to ESL Pro League. In the Open Qualifier for the Americas Minor, Bravado were up against some familiar foes from MDL. It took place this past weekend. First up was old enemy Dignitas. The American side started better and were able to overcome BVD 16 – 12 on Overpass. On Inferno however, it was a very different story. Bravado absolutely smashed Dignitas 5 – 16. It didn’t seem to slow Dignitas down though going into Mirage. This is a map these teams have competed against each other on a number of occasions in the past. Here again it was a thriller, with BVD just managing to best them 14 – 16. Bravado walked away with the 2 – 1 series victory. Dimitri “Detrony” Hadjipaschali, Johnny “JT” Theodosiou and Rhys “Fadey” Armstrong all scored over 60 kills apiece and contributed greatly to the victory. Their second match in the open qualifier was against Gorilla Gang. The Americans did their best to ape the performance of Dignitas when they played BVD. The first map again went to the local team in the series, with the South Africans conceding Inferno 8 – 16. Dust II was a more closely contested affair, with Bravado closing it out 16 – 13. It seems a traditional strength for Bravado is back in the map pool in the form of the revamped Dust II. Mirage was anything but close, with Bravado Gaming stomping Gorilla Gang 16 – 4 to take the series win in style. Another 2 – 1 for the boys in blue. JT and Aran “Sonic” Groesbeek were the chief architects of Gorilla Gang’s destruction. BVD along with Swole Patrol, now find themselves in the FACEIT Americas Minor North America Closed Qualifier. Another qualifier after a qualifier? For those unaware, the Closed Qualifier is the biggest sniff of potential glory Bravado Gaming has had so far in North America. The Americas Minor is the gateway to the FACEIT London Major. The Major is the very largest, most prestigious stage in all of Counter-Strike. If ever there was an incentive to make it through a qualifier, that would be it right there. Making it to the Americas Minor at least, has to be the goal. The caliber of teams at the Minor might be a bit beyond Bravado’s current abilities, so qualifying for the Major seems unlikely. This is CS:GO though. Never say never. Bravado certainly showed they can upset more fancied opponents when they beat Renegades a few months back. They will need to beat some of the best teams in North and South America to do it. The only two teams so far confirmed for the Closed Qualifier are BVD and the aforementioned Swole Patrol. It’s likely that some tougher opposition will find their way into the bracket before the qualifier is set to kick off. Bravado will need to be at their very best to make it all the way through. This is the tournament where BVD can put themselves on the map in a big way. Getting through to the Americas Minor would be their most notable victory so far. It’s simple really. Come June 22nd, there’s only one thing all South African fans should be saying. Go BVD! 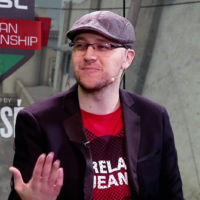 Michael "axtremes" Harmse masquerades as a CS:GO commentator, analyst, journalist, and podcaster. In reality he's controlled by a race of sentient super hats and his coming heralds the end of all mankind. Have a nice day.